Cinnamon, cream cheese and an unbeatable texture make carrot cake the king of all baking creations for me. 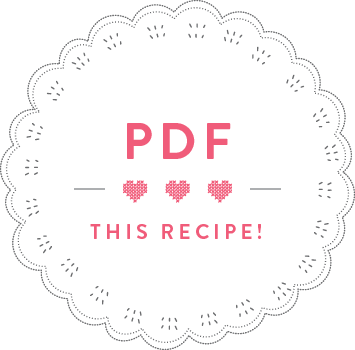 The recipe for my carrot cake is one of the most popular posts on my blog – so I just had to include it in the book. 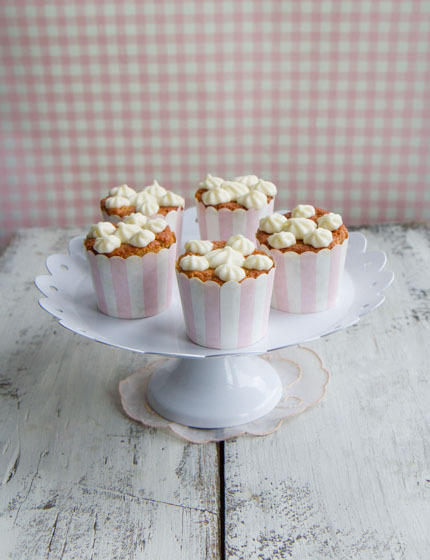 These here are miniature carrot cakes, if you want to make a big cake instead, just use a 20x20cm cake tin and bake for 1 hour. I made this recipe in the baking episode of my show. Preheat oven to 150° C fan. Line a cupcake tin with 14 cupcake cases. Chop the walnut and pineapple pieces so they end up quite small. In a large bowl, whisk the eggs at high speed, add the sugar and continue beating until pale and fluffy. Keep the whisk on at high speed, and add the oil in a steady stream. Keep beating until the mixture holds the shape of any trail across the surface. In a separate bowl, mix the flour, dessicated coconut, the cinnamon, baking powder, and salt, then fold into the egg mix. Once mixed, gently incorporate the grated carrot, the pineapple and the walnuts. Transfer the mixture to your tin and bake for 40 minutes, or until a skewer comes out clean. Prepare the icing. Cut the butter into little blocks, and then using an electric whisk, cream the butter and cream cheese together. Add the icing sugar in 3 parts, but hand beat the mixture first (otherwise you end up covered in icing sugar dust). Once that is all in and mixed, carry on using the electric whist until any lumps have gone from the icing. Put in the fridge to set. Once your cupcakes are done, leave to cool for 10-15 mins, before turning onto a wire rack. Then, when they’re cool, spread the icing generously over the top.